As a First Stop Shop, the Cheshire and Warrington Growth Hub provides impartial, clear and expert advice to help locally based businesses get the best support available to them. The Cheshire and Warrington Local Enterprise Partnership appointed Blue Orchid to create and manage the Growth Hub in 2015. This included successfully applying for and delivering an associated ERDF programme worth £2m of funding. The business model applied provides growing SMEs access to specialist consultants and experts, along with grant funding towards the implementation of investments within their businesses, leading to growth. Blue Orchid has continuously managed the Growth Hub from its launch, until completion of Phase 1 in March 2018 and have successfully secured an extension to the management of the programme. The Growth Hub provides and co-ordinates a wide range of business advice and funding opportunities across Cheshire and Warrington. 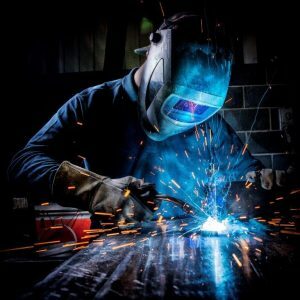 The aim is to connect local enterprises with high quality support from local professional businesses, academia along with local and national government. To ensure the Growth Hub provides relevant and effective business support, Blue Orchid directs SMEs and business owners to the most appropriate local, regional and national business support services available. This is based on insight gained from in-depth research on the local geography, economy and business demographics carried out by Blue Orchid when setting up the Growth Hub. The Cheshire and Warrington Growth Hub is based on a model that actively engages and works with the private sector. This allows SMEs receiving Growth Hub support to access the best resources available from the market rather than limited offers accessible from one agency. It also means that additional expenditure relating to client support is invested within the local economy. In the first phase of grant services, this led to more than 75% of growth projects being delivered by other Cheshire and Warrington SMEs. To contact the Cheshire and Warrington Growth Hub, call 03300 245 007 or click here to find out more. They were awarded a 40% match funded grant to help improve and strengthen the efficiency of their CRM system in order to help improve marketing, client contact and data analysis. The net result of this funded project was forecast to create 5 new locally based jobs over an 18 month period and have a positive impact on turnover. Crewe based property maintenance company, Construction Linx, contacted the Growth Hub to explore ways to achieve continued sustainable growth for their business. Following discussions with their Growth Hub Consultant, a variety of areas were identified which required an upskill and refresh of both strategy and personal development of key staff. Working collaboratively, a specification was created to find the right consultant who could work on areas such as Strategic Planning, Operational Management and Financial Controls to name but a few. Assisting in identifying the right support service for them, the Growth Hub then awarded a 40% match funded grant to assist towards these costs. 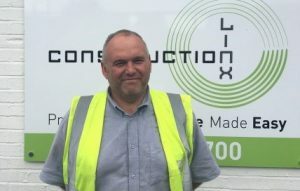 With a forecast of £2.7m turnover in 2018 and the creation of 4 new locally based skilled jobs, Construction Linx are really building on their success.